PAY ONCE, FUN FOREVER! This stickers pack will light up your daily conversation! 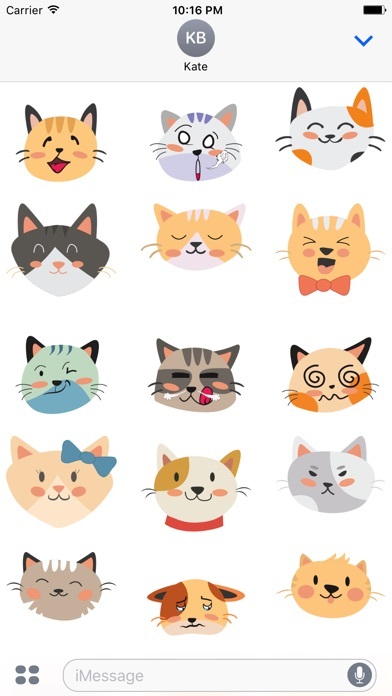 Face cats emoji for iMessage are nice collection sticker in iphone and ipad to chat by iMessage All face for every occasion or emotion, the is an emoji and fun animal sticker pack to chat in iMessage. How to use sticker on iMessage: 1. Tap a sticker to add your message thread 2. 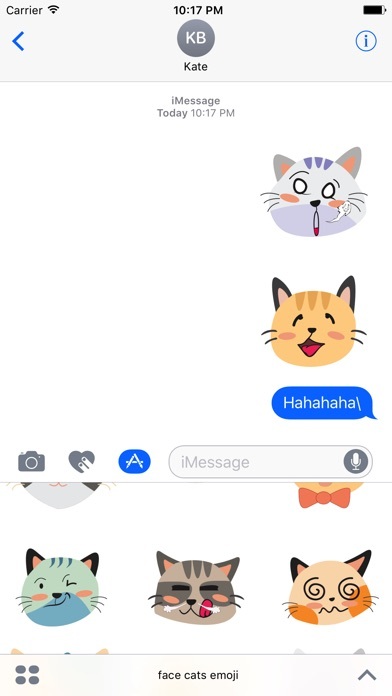 Drag a sticker into the message thread to place it on another sticker 3. Scale or rotate sticker by using a second finger before you place them in the text bubble Please see our other sticker packs by clicking our name "Quoc Phan" above Download now....and enjoy it!